Endless uses and project ideas! 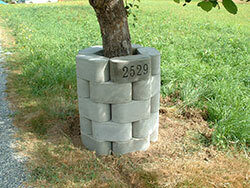 Save money with every block you pour! For your next project, try FORMABLOK molds and gain the "FAB" satisfaction of creating your own unique configurations. FORMABLOKs are Segmental and Simply FAB-ulous! 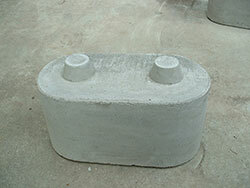 EASY to use concrete block molds! Personalize with your logo, address, etc. The more you pour, the more money you save! FAB product choices offer 4 different design types to meet any configuration imaginable. What will YOU build with your FORMABLOKS?